Home Announcements ElectricalOM 18th Edition Ready! We are continuously developing our software in order to comply with the new industry requirements and we are excited to announce that our leading Electrical Design and Certification Sofware is now fully compliant with BS7671:2018 - 18th Edition. ElectricalOM will continue supporting 17th Edition so users can open projects carried out before the 18th edition and automatically convert them to comply with the new standard. The user can select a combined Arc Fault Detection Unit to model an AFDD/MCB or AFDD/RCBO device up to 63A. 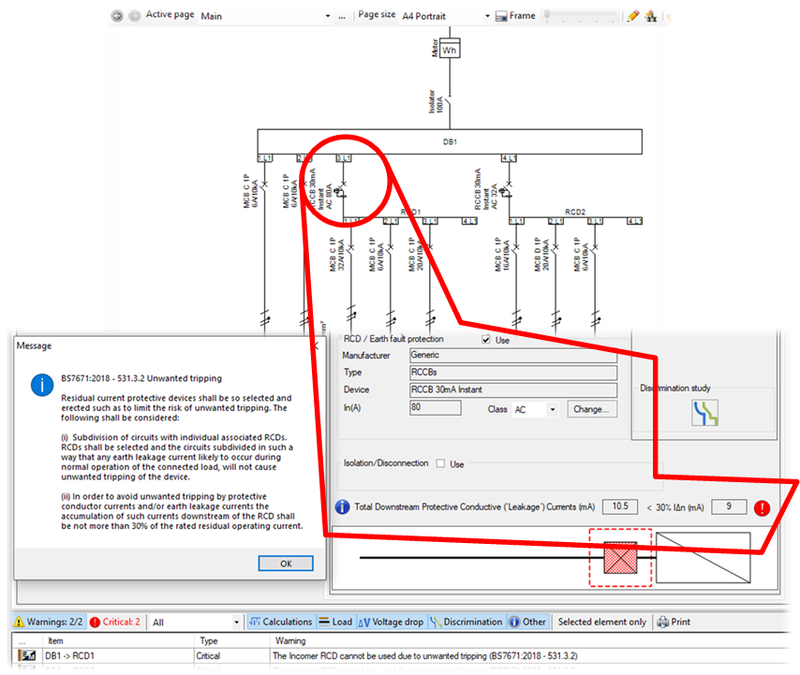 The requirements specified in BS7671:2018 - 411.3.2.2 are now considered for the maximum disconnection times during earth fault. In domestic lighting circuits, the software will prompt to use RCD not exceeding 30mA. The software now performs calculations and checks for RCD unwanted tripping. The Surge Protective Devices functionality is now based on BS7671:2018 534 "DEVICES FOR PROTECTION AGAINST OVERVOLTAGE"
The term "Discrimination" is replaced with "Selectivity" and all warnings have been updated in accordance with BS7671:2018. Also, Guides have been modified to reflect the BS7671:2018 changes.